Summer’s almost here! With convention season coming and school letting out, there are more opportunities to play. You could probably use some new adventures to run, yes? The Kobolds have you covered with four new adventures for Pathfinder Roleplaying Game and 4th Edition Dungeons & Dragons. Beyond the Ghostlight Reef is a convention favorite by Christina Stiles, now available for the first time: a group of 6th-level adventurers investigates the mysteries of a reef that hides vast treasures from ancient cities, and the odd women to delve its depths and return with arcane treasures. 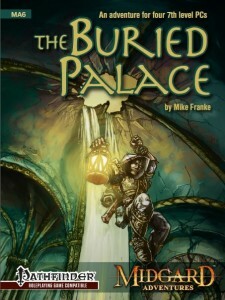 The Buried Palace by Mike Franke is a dungeon adventure for 7th-level PCs level, who descend into a buried palace beneath a city-state in search of a powerful magic item and find themselves embroiled in a growing conflict between the city’s Lord Marshall and his enemies. We also have two new adventures for 4th Edition Dungeons & Dragons at DriveThru RPG! Fury of the Lords of the Sea by Teos Abadia sends a party of characters level 16-20 up against the Mharoti to prevent the summoning of the Isonade, the ancient and terrible lord of the deep. 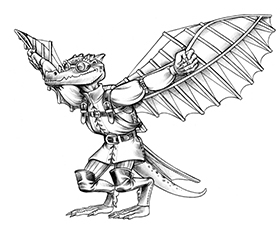 The Iron Secret by Brian Liberge pits adventurers level 1-3 against a band of mad mercenaries who plan to flood the kobold warrens and ignite a war between dwarves and kobolds. If you run any of these for your group and post an actual play report, let us know! We’d love to share your stories from the table.